Customer Picture Number 478 Selected. Cool Car decals applied. 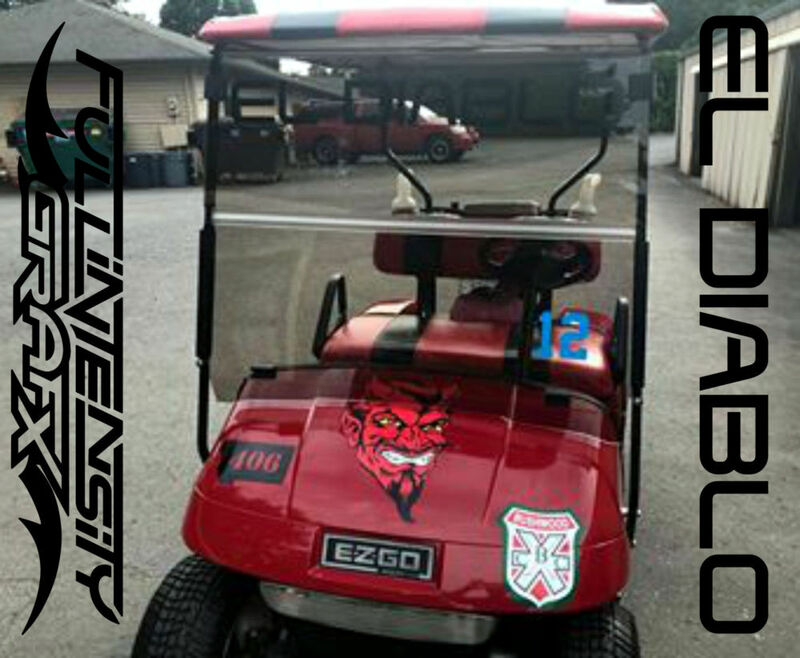 Brian's El Diablo decal and Golf Cart. It sports a black windshield decal above, and a custom multi-color devil decal.